GANGNEUNG, South Korea – All around this victory-craving world, human beings in charge of human teams conduct occasional discussions or analyses or summits whenever frequency of victory is deemed insufficient. 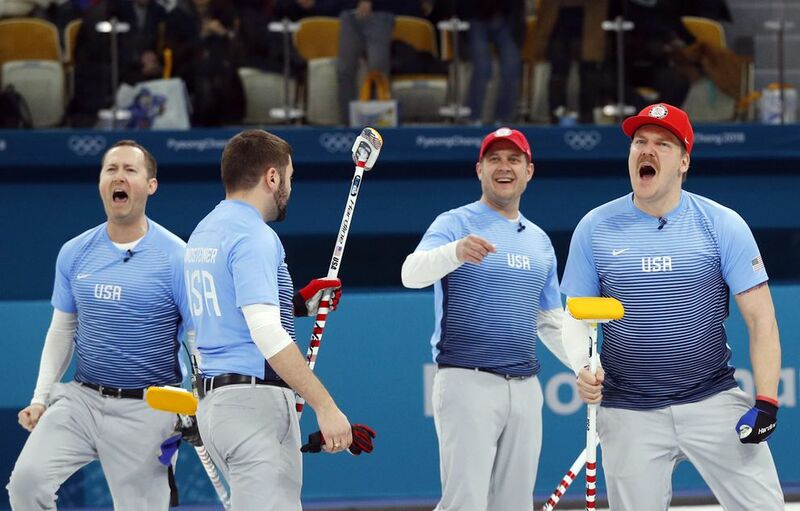 They held one such confab surrounding the outfit known as USA Curling after the Sochi Olympics of 2014, deciding that a ninth-place finish piled atop the 10th-place finish of 2010 just did not feel giddy enough. Well, of all the damnedest turns upon the ice sheets of the entire stone-conscious world, they might be about to hold some level of self-examination in Canada after these PyeongChang Olympics, and they might do it largely because of the dude the United States jettisoned after 2014, before he found his own guys and won a welcome back. That hapless little Olympic seldom-do-well, the United States, which was a dour 2-4 in round-robin play as of Sunday night, will ride its 5-3 semifinal upset of Canada on Thursday night into the first American appearance in any gold medal tussle. It will play Sweden, the team ranked No. 1 in all the eminent curling lists. Sweden will not play Canada, the team that had torn through the past three Olympics and the most recent world championships. Canada will play for bronze. Its players suddenly must say the kinds of excruciating things no athlete wishes to say, such as: "It's not the end of the world. We're not going to die. The sun'll come up." Canadian curler Marc Kennedy said that, and you know you've had a rough night athletically when you have to resort to common-sense perspective. 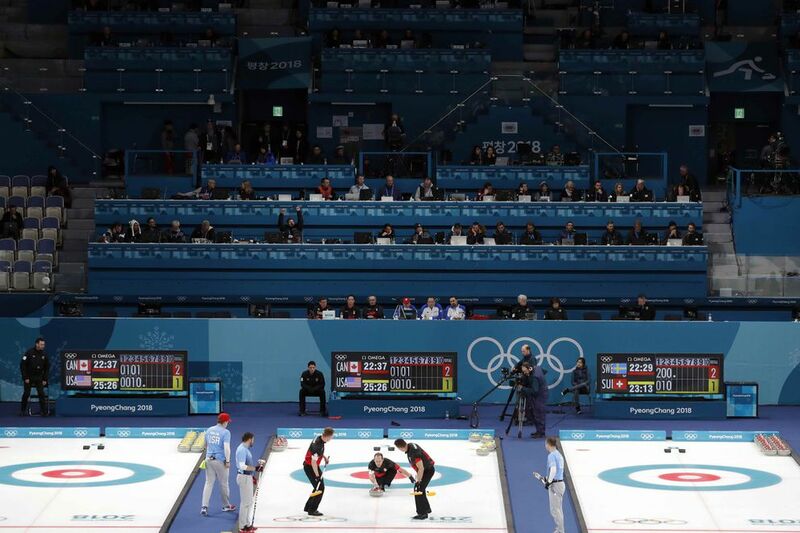 Two hours 35 minutes of tense, taut curling Thursday night at the Gangneung Curling Centre finally made its way to one long-embattled skip with one last throw that looked easy to every witness, most importantly to himself. He would be John Shuster, and he has dispensed enough Olympic lemons to suffer pillory from Vancouver to Sochi and back, in curling circles and maybe even in the outskirts of curling circles. The U.S. led 4-3 in the 10th end, with the hammer in hand. Shuster had made a brilliant shot in the fifth end to supply a point, tie things at 2-2 and rob Canada of at least one point, and he set up the unusual deuce the U.S. snared in the eighth. Now a Canadian stone sat alone down the sheet amid the house. If a stone could look helpless and forlorn, it did. "I was like, 'This looks like a practice shot,' when you practice, and in league, or when I'm with my friends and there's nobody around," he said. He used the word "easy." His throw hadn't even reached its prey when he began pumping his right fist. At that moment, the 35-year-old was all of these things: a member of the 2006 bronze medal U.S. team; the guy not picked by that post-Sochi entity called the High Performance Program, one of those discussion groups that tries to figure out how to wring more victories out of life; the guy who lost 30 pounds as curling in general tried to lower its body-fat percentage; and the guy who had just shepherded the U.S. curling operation to its Olympic pinnacle. One of the other guys hugging him, 35-year-old Tyler George, summarized. "I think it was heroic," he said. "I think the guys, one through four, played the game of their lives when it mattered most. I mean, that's what you dream about doing. But I think what you see from us is that we're not hoping to play well. We're expecting it. We know we're going to do it when we go out there now. So I think it's a life-altering game for us. To do what we did on this stage today, there'll never be a game where we don't feel like we can step up and do the same thing." Trying to make sense of these things that might defy sense, 43-year-old skip Kevin Koe went with the we-were-in-control motif: "We were in control the whole game." He dug out the familiar and psychologically helpful blame-ourselves routine: Shuster "didn't have a lot of too-hard shots, which is frustrating. Pretty simple shots for the most part, other than his runback in [the fifth end]." He answered the unanswerable about how it felt: "Oh, I mean, it's hugely disappointing." His teammate Kennedy went with the millimeters, always a factor: "You play a game that comes down to millimeters." He went with the breaks: "A lot of rocks, we threw good and didn't get the result." Finally, he just excavated and used what a million sportsmen have thought but haven't necessarily said: "It's a really [expletive] hard game at this level. Right?" "I think it's overplayed that Canada's the favorite," he said. "I mean, we come from a rich history of curling where we've won everything, and that's not the way it is anymore. And anyone that's been watching the Grand Slams of Curling" can see the improvement of others, who "spend nine months of the year in Canada training, and learning our strategies, and using our coaching, and using our ice, so this is the new normal for Canada, and people need to get used to it. Canada will be flying. We've still got the best curlers in the world, and when it comes down to one game here and there, this is what happens." Still, their particular world-within-the-world had just been overturned. 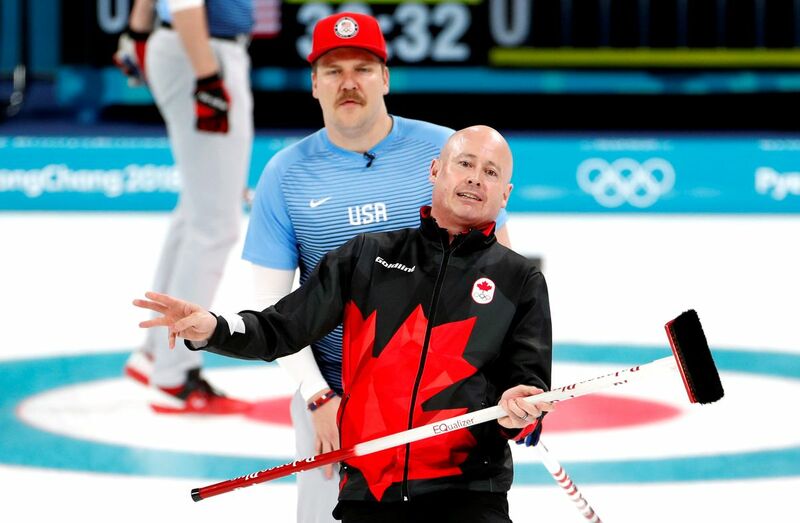 The United States had gone from 2-4, with Shuster still fumbling around in the curling woods, to wins over Canada, Switzerland, Great Britain and, good grief, Canada again. 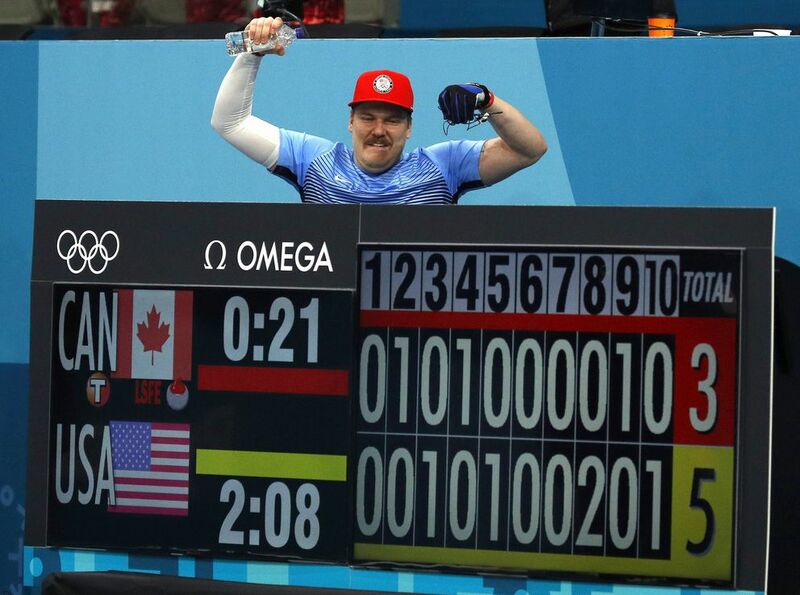 Four nights after 2-4, U.S. curler John Landsteiner spoke of how they wanted to "beat the system at the time" they were out of the system, and how "then the system took us in, and they've given us every opportunity that we could ever imagine to succeed." Players and coaches spoke of benefiting from the urgency, or from the easing of pressure, or from the desperation, or from something. Shuster spoke of "seeing my teammates being the best versions of themselves and myself the best version of myself" and how it felt "really, really, really exhilarating." He said, "We were just ready." A Canadian journalist asked, "Could you sense the immense pressure the Canadians were feeling?" He followed, "Yeah, it was, and I think you can get that synergy going both directions." Apparently you can. It's one of the reasons people sometimes hold meetings.